The new 200 Duke is expected to make a debut at the EICMA show in November. 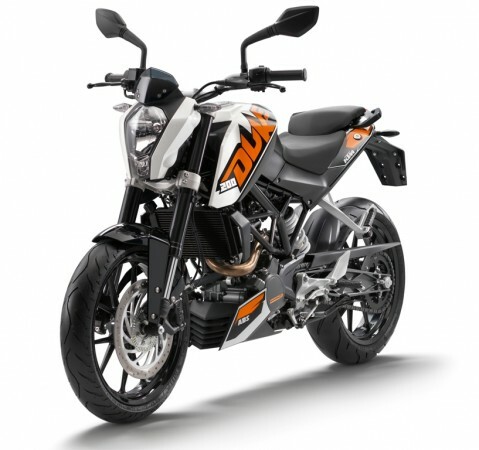 Austrian motorcycle maker KTM, which is co-owned by Bajaj Auto, has been working on the 2017 KTM Duke 200 and 390. Both the motorcycles are expected to make a debut at the EICMA show in November. Emerging reports indicate that the 200 Duke will be heavier than the current version and will also be equipped with Anti-lock Brake System as standard. The increase in weight is expected to be around 4-5kg. The reason for weight gain is the adoption of a conventional full-sized exhaust in place of the underbelly exhaust. The motorcycle is expected to employ ABS as standard since regulations will soon demand it in motorcycles above 125cc in India. The disappointing bit is that the motorcycle may not come with an increase in power figures. The 200 Duke will come with ride-by-wire technology that lends smooth and precise throttle inputs. However, to meet the new regulations, the company may continue with the same numbers. KTM 200 Duke is powered by 199.5cc single-cylinder engine that develops 24.6bhp mated to six-speed transmission. The elder sibling, 390 Duke, is expected to pack riding modes, ride-by-wire and TFT instrument cluster. The motorcycle was spied recently in India. The Duke 390 features 1290 SuperDuke-inspired styling. The face of the new 390 Duke gets split headlight cluster with LED inserts. The fuel tank has been reworked and tank extensions are longer now, overlapping with the USD forks. The same treatment can be expected in 200 Duke as well.